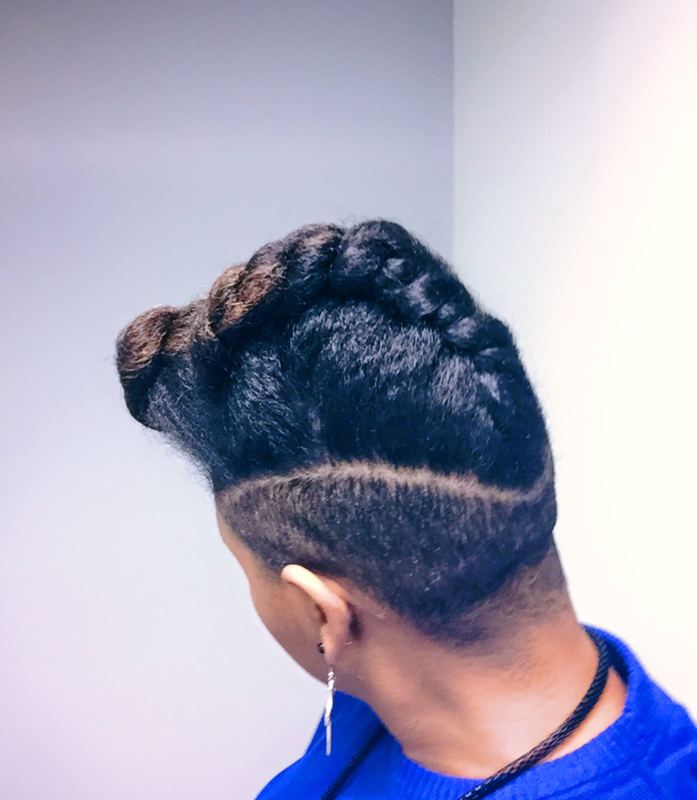 So earlier this week I decided on a sleek French roll style. I’ve done this style before but whenever I do it, it looks different every time. That effort is of course intentional! I love taking a look and seeing what kind of versatility I can add to it. The overall look is super easy to achieve and is a fun yet classic style to wear. 1. For this look I started the hair slightly off to the left and tucked fairly tight and straight back. My hair was dry but only slightly stretched for this look. 2. I used completely dry stretched hair for this look. I smoothed the hair off to the left and tucked and rolled the hair loosely to help with the shape. The direction was from the left to the center of my head in the back. 3. For this look the hair was dry and completely stretched. I rolled and tightly tucked the hair immediately and carried through straight back. 4. This one is my favorite. I started by pulling the hair to the left in a bit of a swirl. I tucked the hair in a very compact but high roll going diagonally. The hair was again dry and completely stretched. Absolutely loved the shape! 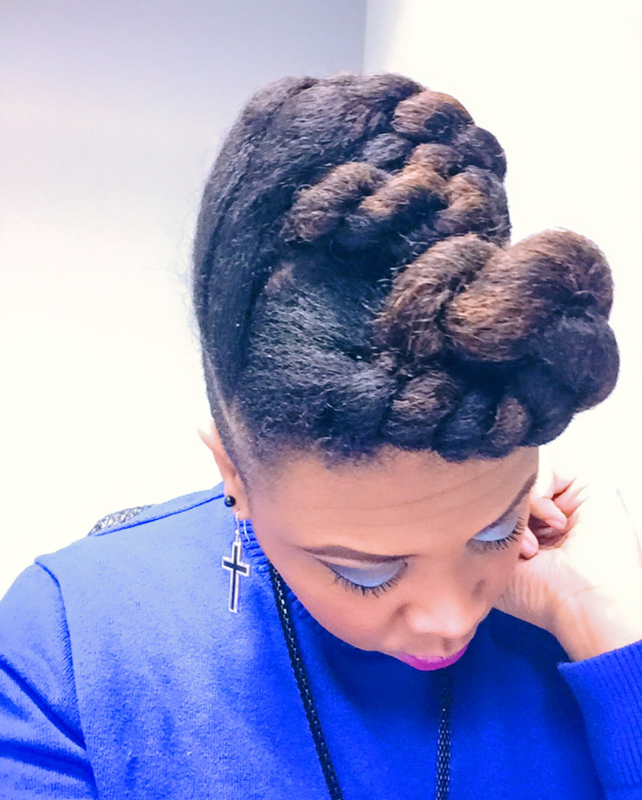 A couple of weeks ago I came up with this really nsleek sophisticated chunky twisted updo. It got a lot of attention and just turned out really well, so I decided to do a quick tutorial for this look. Enjoy! Seriously, who would think to combine Dove and Dark and Lovely products? curlBOX of course! 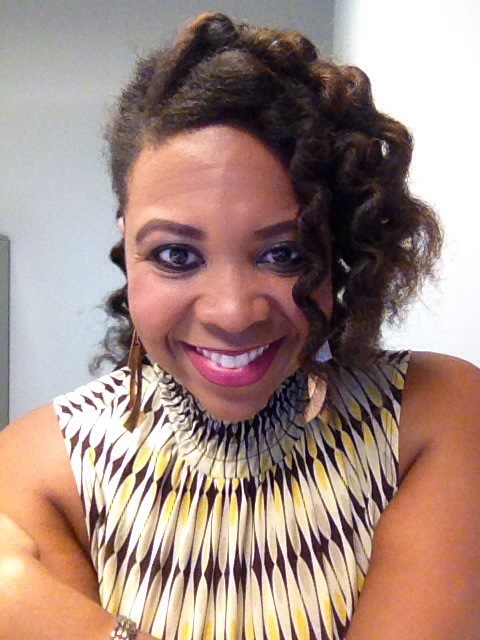 So, this morning I decided to take these two new products I got from my February curlBOX for a test drive. The results were like POW! 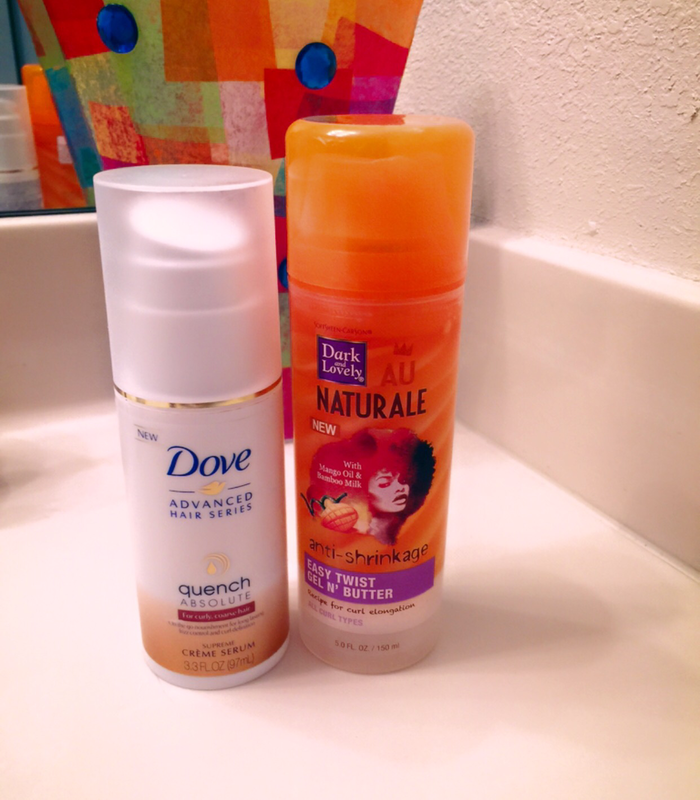 The Dove Quench Absolute Supreme Creme Serum really served as a great moisturizer. 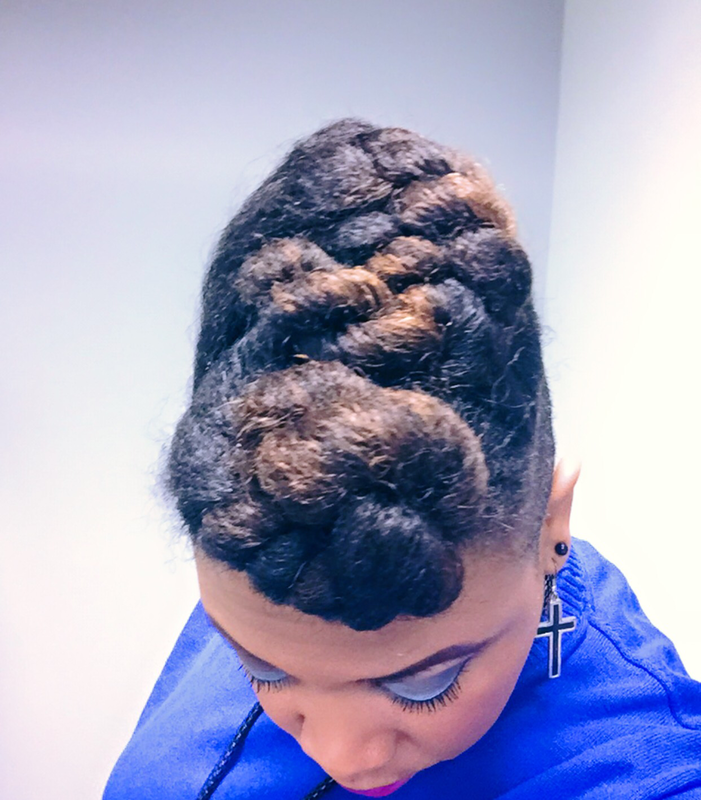 I almost always work with dry stretched hair, and this product did a great job giving my hair some moisture before I started styling. As for the Dark and Lovely Defining Gel and Moisture Butter, well, let me just pause so I can collect myself to say…A-MAZING! I absolutely love the texture of this stuff. It really is the perfect blend of Gel and Butter. I can definitely tell that this will be a great product for twist and braid out definition, or even rod sets! My hair is so silky with this product. Love love. 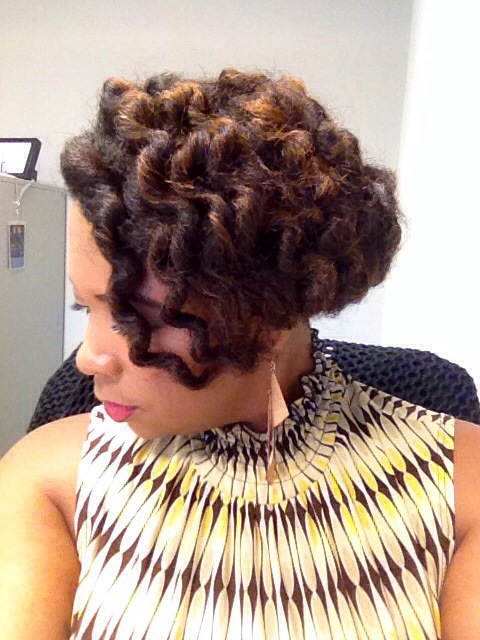 The style is a total of three flat twists meticulously placed to form this great shape. I’ll do a recap of this week’s styles but I can already tell you that this is my favorite look of the week. Today I’ve got a video tutorial of two quick and easy sophisticated styles. 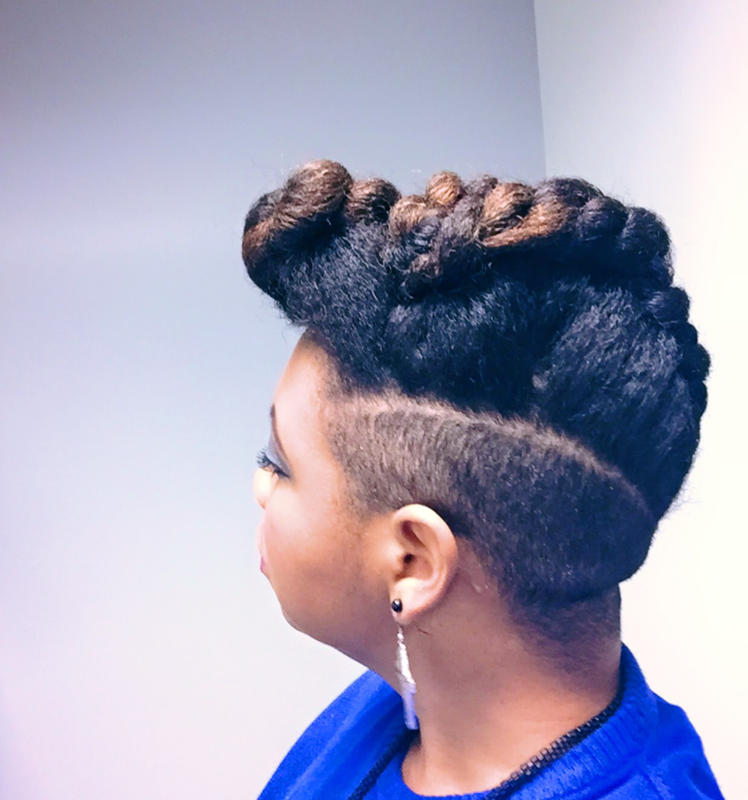 The first is a recreation of this far forward flat twist and the second is a pompadour and twisted bun. Take a look at the video and let me know what you think. 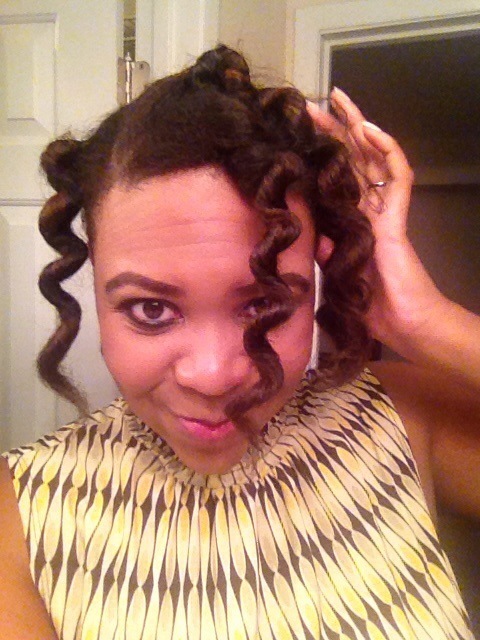 On the Curly Christians blog last month I did a post about the art of bantu knot outs. 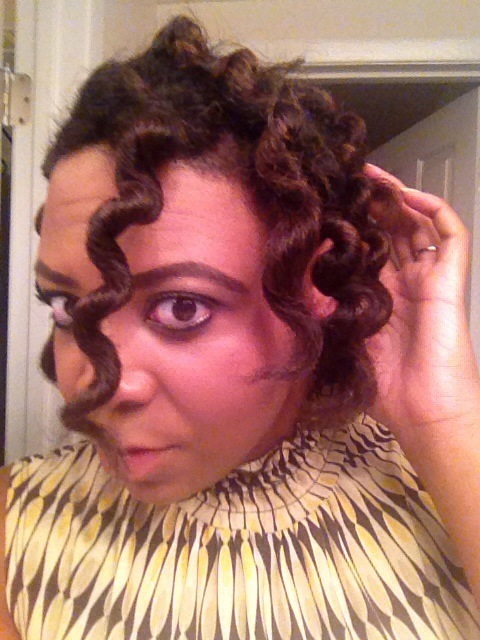 I have to admit, bantu knot outs is not an art that I have quite figured out yet. 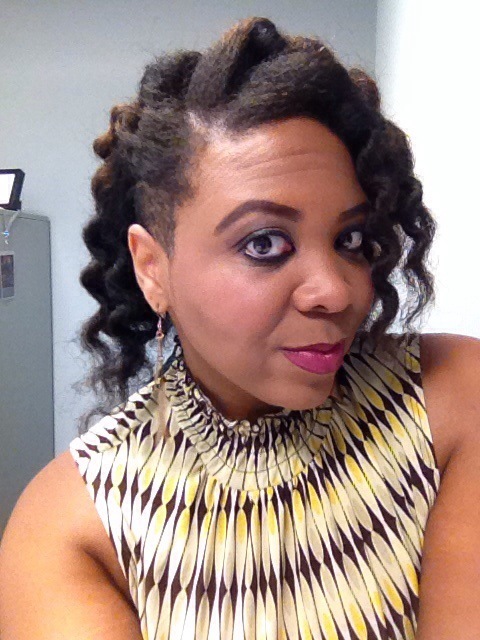 Yesterday I sported what I’d say was a solid attempt at a classic bantu knot style…after my initial style attempt failed. Let me take you through the evolution of the style. I started with dry stretched hair. 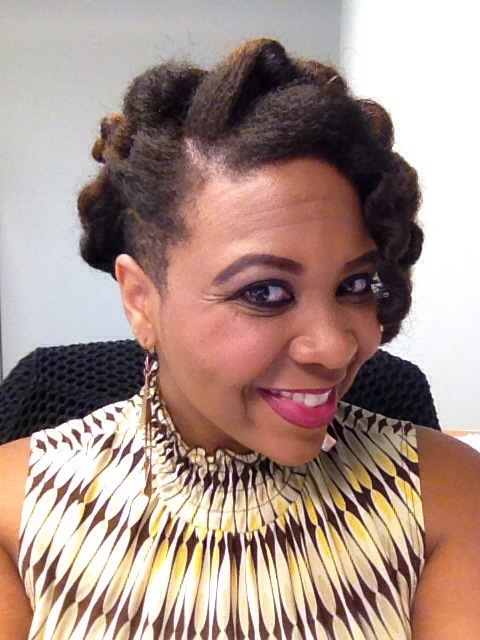 I used Shea Moisture Curl & Style Milk and Eco Styler Gel to do my knots. I slept with a satin scarf and after an uncomfortable night sleep (these things are a beast to sleep on!) I went to work at unravelling the knots. At first glance they looked to have taken pretty well. So naturally I was excited! Then, as I started carefully separating them things started to go downhill. They did not separate with ease as I hoped and as a result the ends started to get frizzy. I tried to just go with it. Got all the way to work, took a couple of pics and quickly realized it just wasn’t working for me. Soooo…I quickly improvised. I grabbed a couple of bobby pins and tucked the ends under. I managed to find a super quick and easy way to turn my frizzy not so awesome bantu knot out into a solid attempt at a classic style. Best I could do…considering. 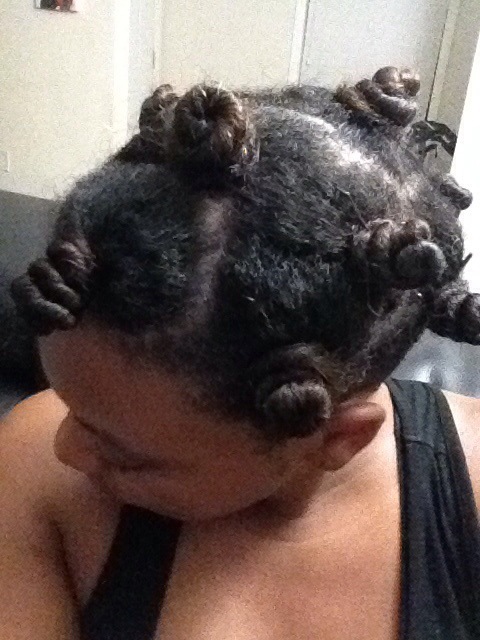 I suppose I’ll just keep working at this bantu knot out thing until I get it down. Let me know if you have any tips! How many times have you twisted your hair only to wake up and discover that the twists didn’t completely dry. Most naturals know that this is a disastrous situation. To no surprise I found myself in this very predicament this morning. Fortunately I’ve found a great way to save my twist out, have great texture for the day and still maintain some definition. 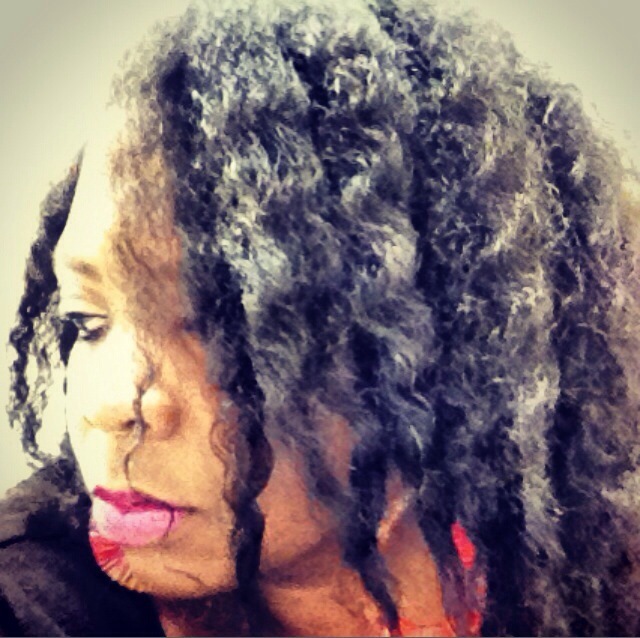 After I unravel my twist I simply take a little Eco Styler gel with Olive Oil and apply to each unraveled twist. 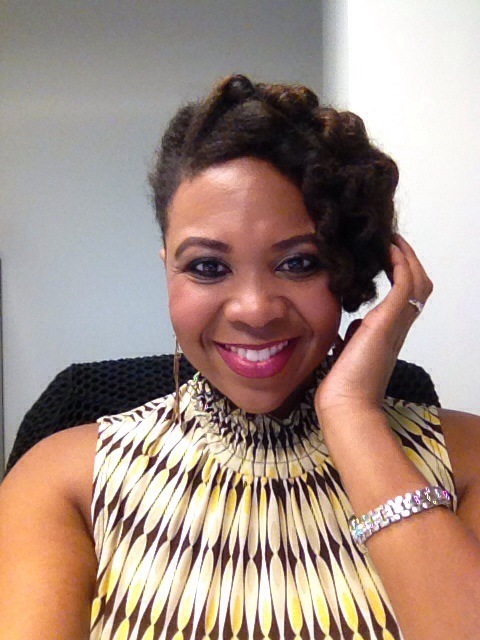 The gel helps my hair to hold the definition where it is at that moment but also helps enhance my natural texture. I always love this look. 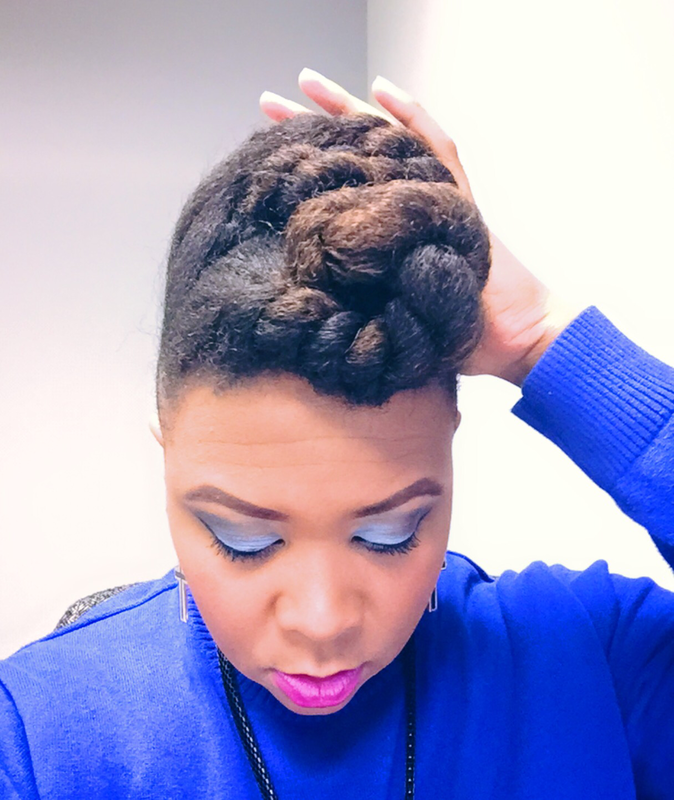 It’s almost like achieving a second or third day twist out look on the first day and I don’t know about you but my second and third day twist outs are everything!! 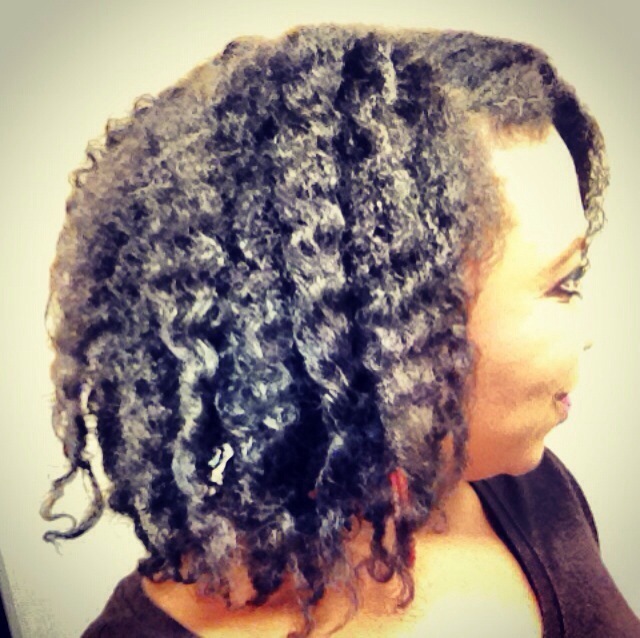 So, the next morning you face twists that haven’t completely dried, save your twist out with a little Eco Styler. Have a great day and be you beauties!